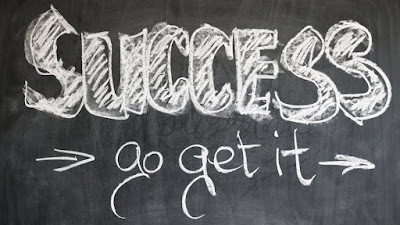 I watched a fantastic video recently call "Success in 8 Words" by Richard St. John. I would like to share the information in that video as I think it is very relevant Thank you Richard and I hope you don't mind me paraphrasing your work! So here is success in 8 words. You must be passionate about what you do. It is the passion that will make you shine brightly and attract success towards you. Money should never be the driving factor, if you are doing what you are doing for money then you are heading down the wrong road. Successful people would pay to do what they do! Ironically when you do what you love the money will follow. It is a myth that people are born lucky or just fall into the right places. It is hard work that separates the exceptional from the average. Luck for the most part is created through continuous effort, it's all work. This is why passion and love are so important, they provide the motivation to do the work. Become good at what you do. Work hard and become an expert or master in your chosen field. Practice, practice, practice. Become the best. Know what you want, know why you want it and keep focused on it. Push yourself, physically, mentally, emotionally and any other way you can think of. You have to push, push, push. Continuous effort and determination is essential. You have to push through shyness and self doubt and overcome obstacles regardless of how big they seem. You become successful by creating a necessecary service, you can only do this by serving others. The more you serve, the more valuable you become. If you wish to become wealthy you must serve others with something of value. You must come up with ideas to solve problems. To do this you must listen, observe and ask questions. It is often said that it takes money to make money, this in my opinion is not entirely true, it takes creativity to make money. Ideas are valuable. Persistence is most certainly needed, you will suffer disappointment, setbacks and rejection, you must persist through all of this. It is the same for everybody, those who succeed are ultimately those who can pick themselves up the most times. I hope you find this useful and as always, best of luck.